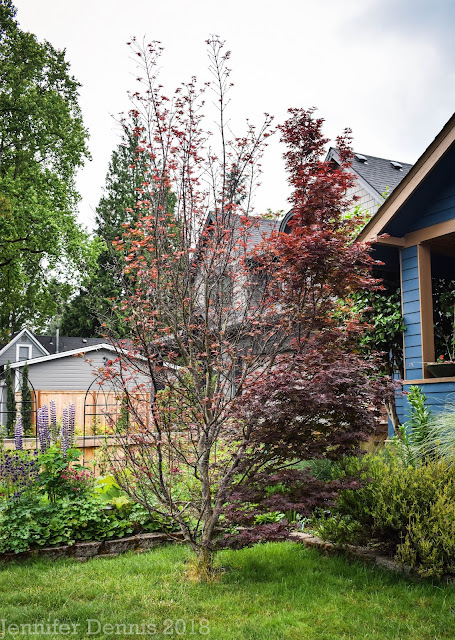 My summer, cottage, flower gardens are at the height of delightful color. 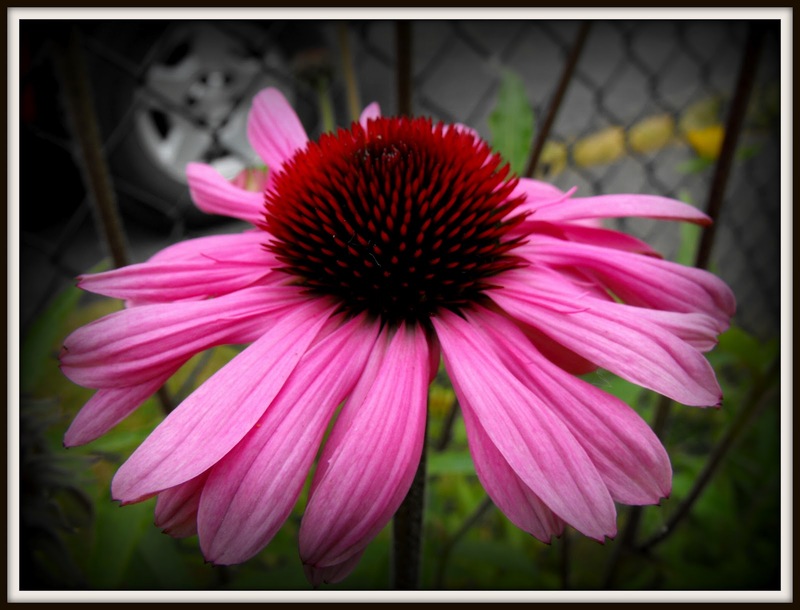 Nearly everything is in bloom; I am only waiting on the rudbeckia to open for the grand finale. 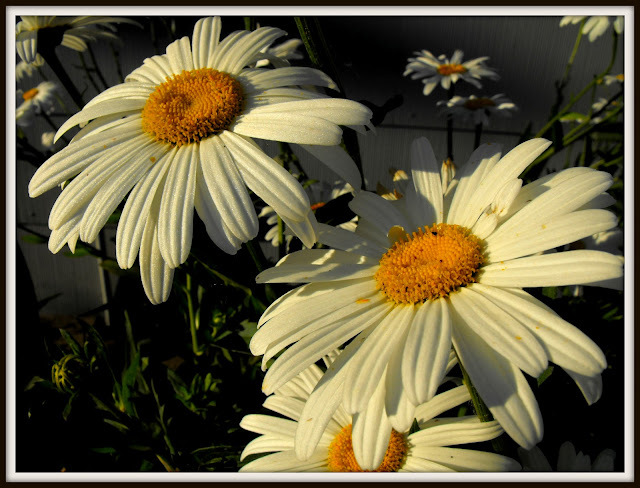 Shasta Daisy's at sunset. Stinky things. The colors of summer are rich and bold in my gardens. My children have been enjoying their summer vacation by playing in and around my flower beds, making their imaginary worlds around the blooms. It cracks me up, to listen to them play. It also warms my heart. Love the Dahlia!! I remember my girls picking flowers and making soup in the yard... such precious times...enjoy! Who got his comeuppance the other day. 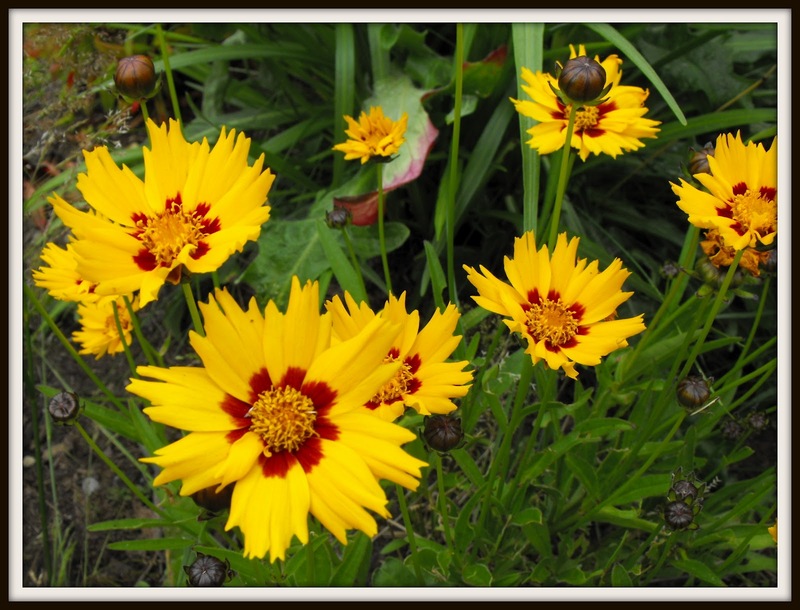 Scott, this is the second year of my coreopsis plant. It is about 12" tall, which in your plant beds would make a nice edging. I've been pleased with how hardy it's been, weathering both the rain and sun without issue. Lovely photos and flowers. You are a bit in front of ours. WE bought and planted some coreopsis today but I think the slugs have had at least one! No bed is full sun for us at the moment Jenni - the front garden should be though. Jenni ~ What wonderful, spectacular, colorful blooms. The colors are so amazing. Glad you are having a lovely summer with your kids. Your flowers are beautiful, Jenni! Yes, we've been getting rain here. Not as much as we'd like, but we've all in all had a wonderful growing season. The midwest drought just seems awful!! I can't imagine how that must be. Thanks for thinking of my friend...she's in your neck of the woods...in a Portland hospital. Things look great. I love your dahilias. I tried some this year and it was a bust. I'm glad the kids are having fun. Why is it when you are a kid summer is forever, when you are a gardener it is fast and furious? Oh well enjoy the sunshine. Your coreopsis and coneflowers are ahead of me. I do have daylilies and dahlias blooming. Your flowers are all so beautiful. I'm glad you're enjoying your summer with your kids. Absolutely stunning flowers, they are all beauties but I have to say the color of that daylily is making it my favorite. Ah you reminded me of my kids playing in the yard, how much fun they could have and my gosh their imaginations - they traveled the world! 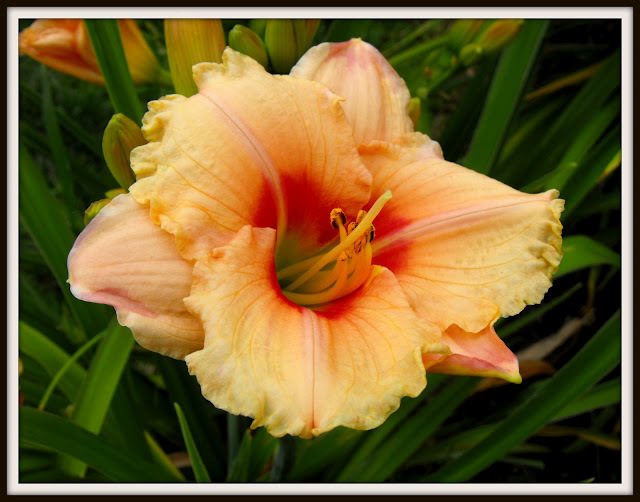 Beautiful photos and stunning flowers :-) Loved your Double Peach Dwarf Daylily, my daylilies have just started to flower, very late this year thanks to all the rain and cold weather, but summer have finally arrived so now things are progressing fast. Yep. Summer flowers are such a delight. I so love this time of year. 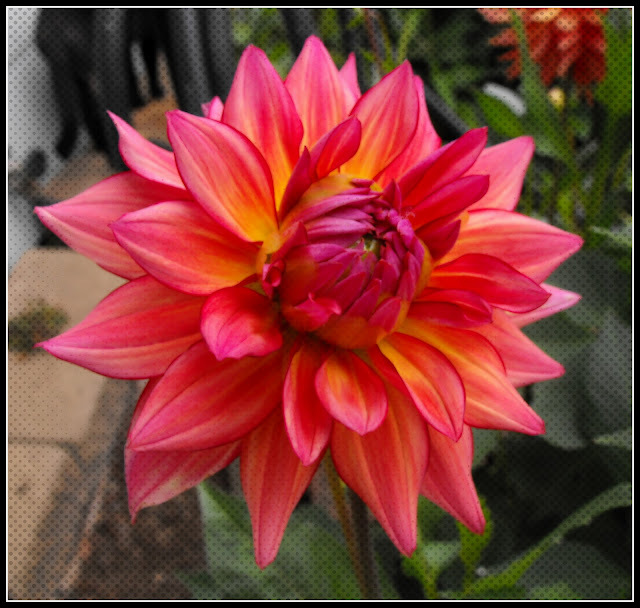 Your dahlia is to die for. I absolutely love those colors. Sweet child antics are the icing on the cake.